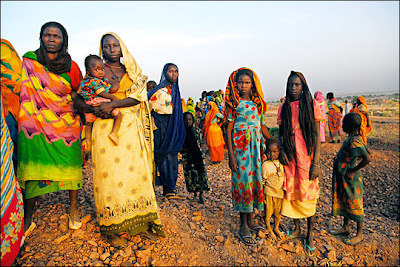 "Darfur Now, " directed by Ted Braun opens today in limited theaters. The documentary exposes the travesties that led to some 200,000 killings and 2.5 million displaced humans in the region. Following the activism of several big name celebs such as George Clooney and Don Cheadle the film helps the audience take a good look not only the horrors of the modern day genocide but at the solutions that we can mobilize. The film is produced by Participant Productions, the same visionaries that brought the Inconvenient Truth to the world. indiewire.com recently interviewed Braun, Click HERE to read.